Though I am not a huge fan of scented products but Memebox completely changed my thoughts over scents. 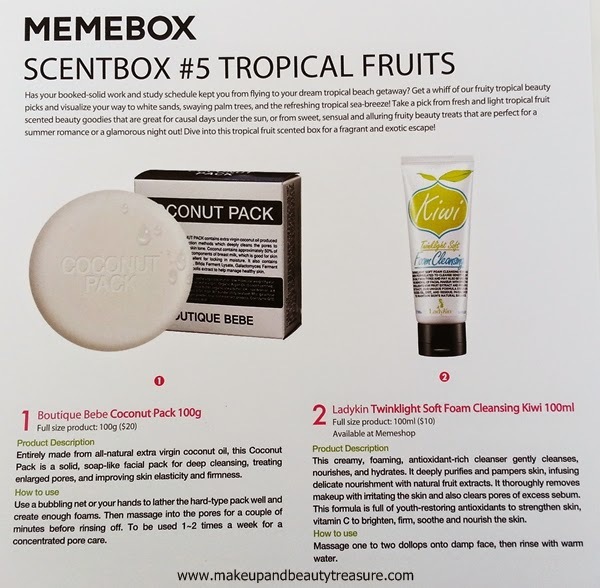 Memebox Scentbox #5 Tropical Fruits has one of the best scented products I have tried that are really mild and smells original just like real tropical fruits. Scentbox is an assortment of beauty items that correlates with box by box scent themes to bring you a truly scent-sational experience. This Scentbox is arranged with 5 full size Korean beauty products of the respective scent, so try out each box to discover your true signature scent! 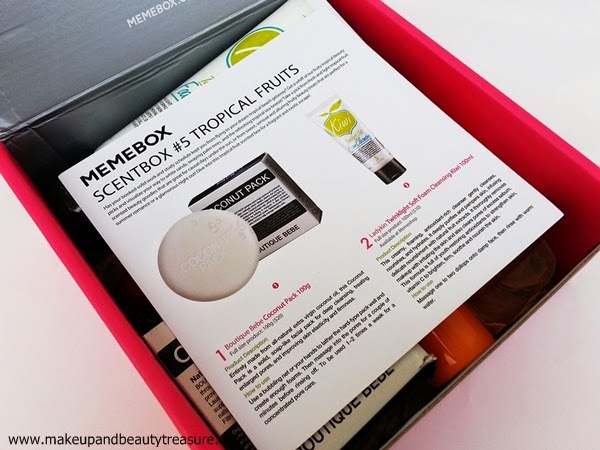 Today I am going to review Memebox Scentbox #5 Tropical Fruits. 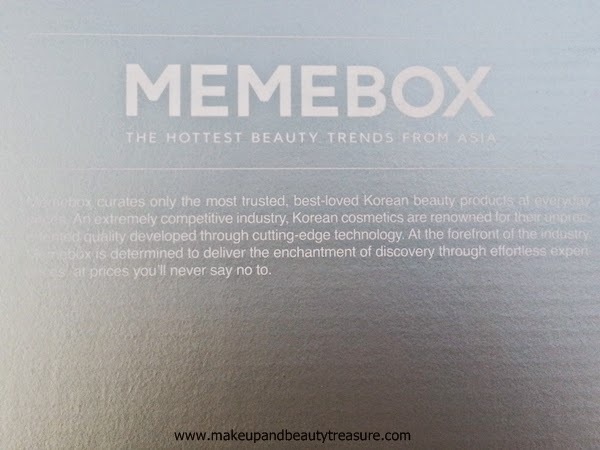 I had already reviewed Memebox Special #29 Scrub Box HERE. Use the discount coupon code PZ6JJG to get 5% off on your order. Has your booked-solid work and study schedule kept you from flying to your dream tropical beach getaway? Get a whiff of our fruity tropical beauty picks and visualize your way to white sands, swaying palm trees, and the refreshing tropical sea-breeze! 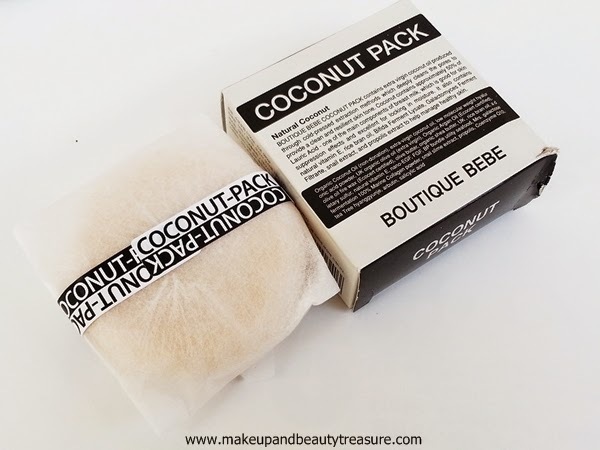 Take a pick from fresh and light tropical fruit scented beauty goodies that are great for causal days under the sun, or from sweet, sensual and alluring fruity beauty treats that are perfect for a summer romance or a glamorous night out! Dive into this tropical fruit scented box for a fragrant and exotic escape! Comes with 3 full-size products. 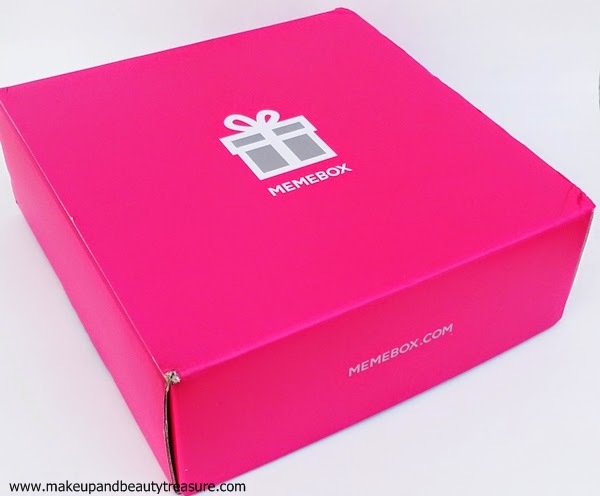 Memebox Special #29 Scrub Box comes in a bright, pretty pink cardboard box with MEMEBOX written over it. As soon as you open the box, you will see a leaflet or card showing price, description and usage of all the products contained in the box. All the products are neatly placed in the box. The box contains 5 full sized products that look extremely nice and luxurious. It arrived at my place in 2 days which is pretty amazing. It is a face pack in the form of soap which is completely new for me. You just need to lather it and use it as soap on your face. Though I do not have open pores but after using it I feel it makes my skin smooth and even. 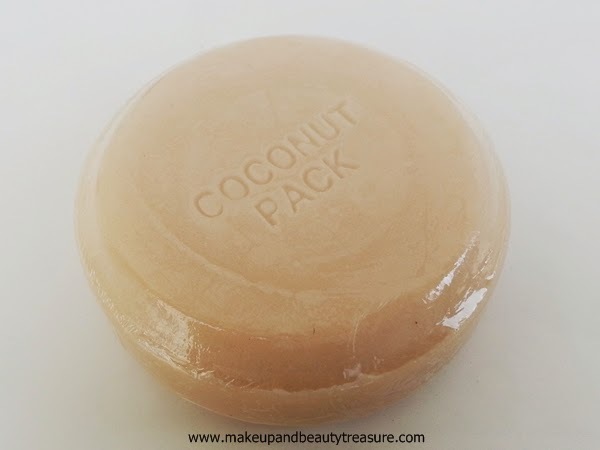 The scent is amazing and smells of pure coconut. 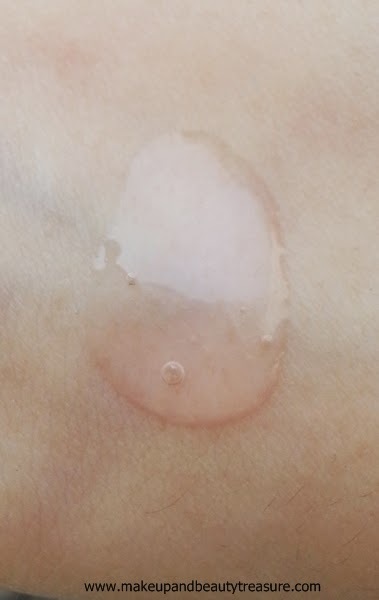 It is very mild and does not cause irritation or headaches. It is my favorite foaming cleanser. 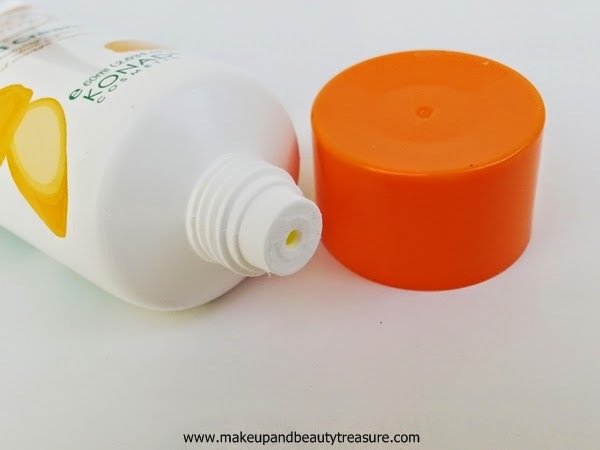 It creates rich lather with just a dollop of cleanser. 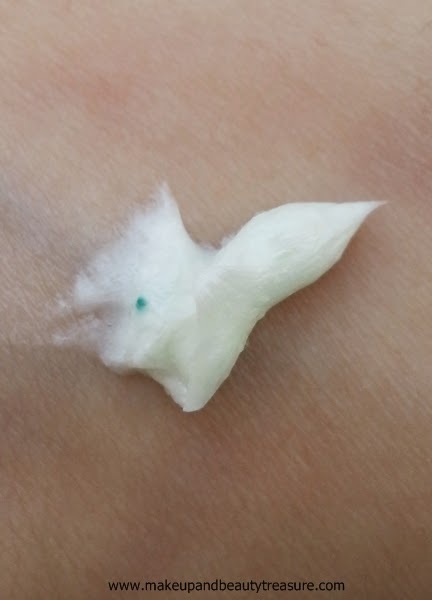 I have been using it for more than a week and I can see my skin looking bright, even and clean. 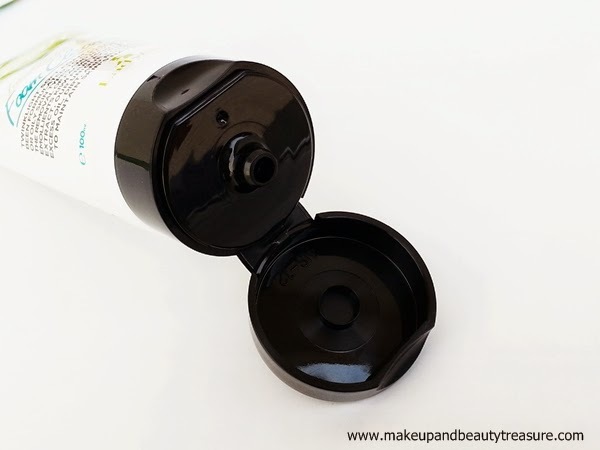 It also removes waterproof makeup and I love it whenever I travel. It smells of kiwi and instantly makes me feel fresh. It is also available at Memeshop! If you are a mango lover then you will fall for it. It has natural scent of mango which instantly wants me to lick it. 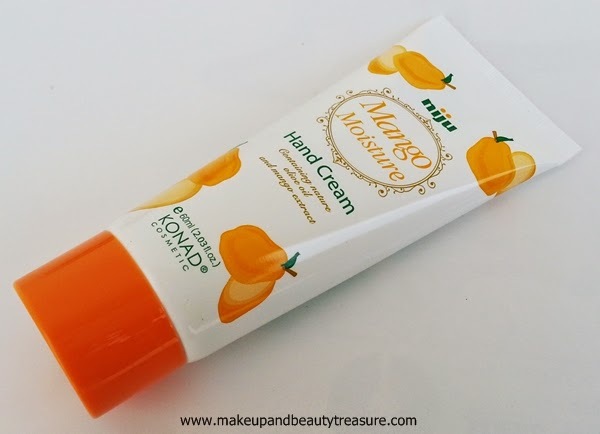 It has creamy texture and spreads easily on my hands without leaving a residue behind. My hands feel soft, smooth and moisturized for a long time. I love keeping it my bag and it is a lovely companion during my traveling! It is my first scented nail polish and it smells just like lychee. The scent becomes obvious after it dries. It is very mild and does not tend to cause headache. 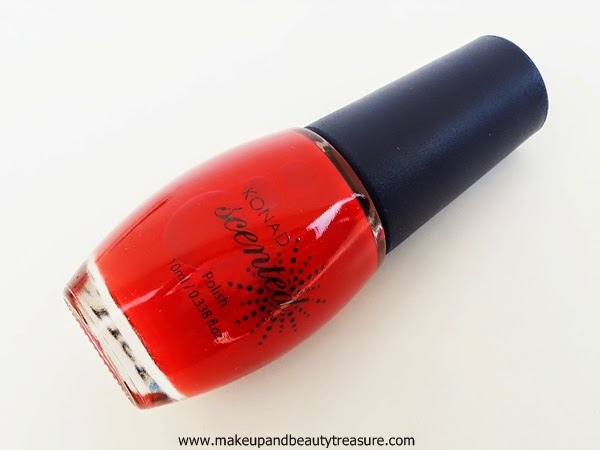 The shade is bright red and looks super hot on my nails. It stays fresh on my nails for a good 4-5 days. 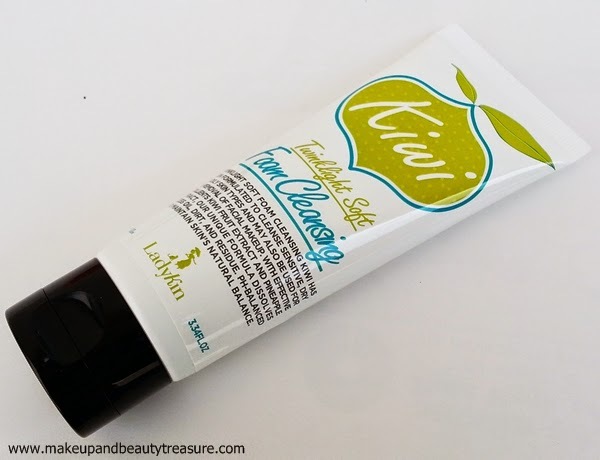 It comes in various other scents and colors such as grapefruit, lychee, kiwi, orange and pineapple. This body wash instantly refreshes up my senses in the morning. 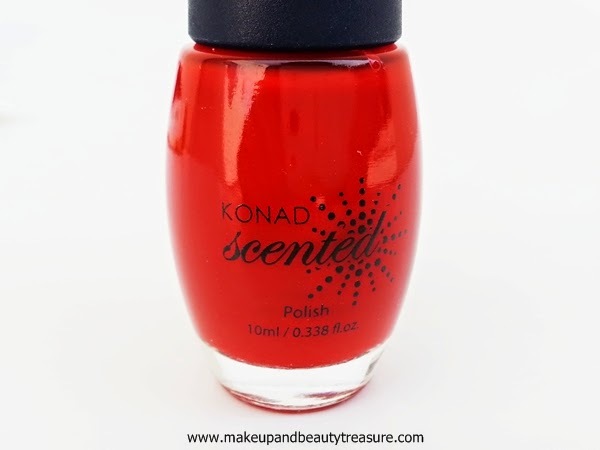 It smells of yummy strawberry and creates rich lather. It makes my skin soft, smooth and thoroughly cleansed. 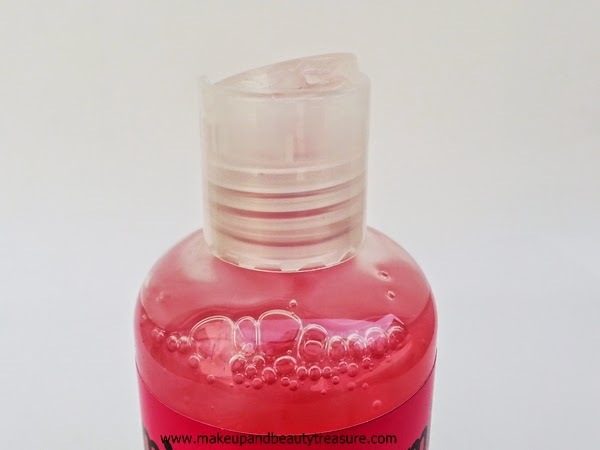 It rinses away easily and does not leave sticky residue behind. It comes in many variants! • A gift for tropical scent lovers. • Arrives quickly and securely. • Beautiful and cute box. • All the products are of very good quality. • The scents are not artificial and are very mild and yummy. • Contains full sized products. 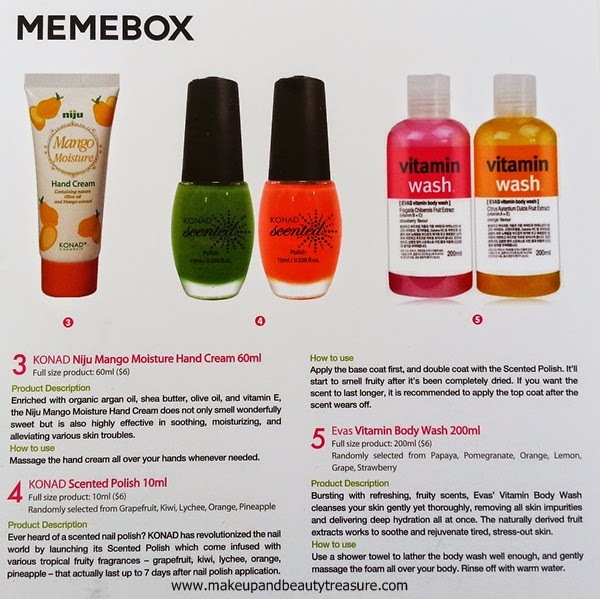 Memebox Scentbox #5 Tropical Fruits is one of the BEST BEAUTY BOX I have tried. It contains all the products with tropical scents. The products not only smell amazing but are of really high quality. The box contains full sized products and is worth investing. I would HIGHLY recommend it to everyone! 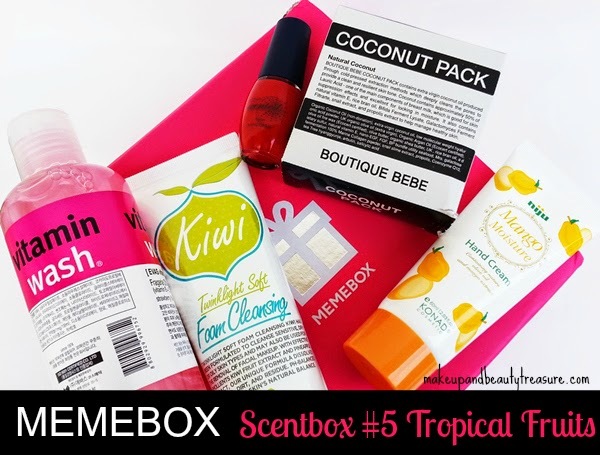 Have you tried Memebox Scentbox #5 Tropical Fruits? How was your experience? Share in the comments section below! Lovely products Megha.. Nail paint is just wow..!! Yeah Fatima. Nail paint is beautiful! 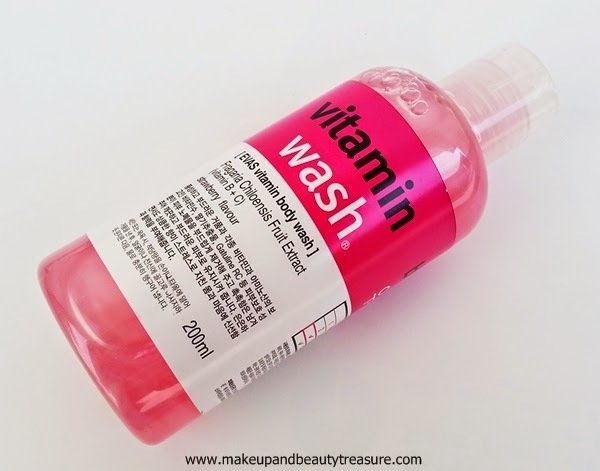 The products looks amazing, specially that red nail paint and vitamin body wash.. I have been seeing a lot about this box, looks cool.